The 6'10" 240# sophomore averages almost a double-double and put up 21 points at Nebraska last year. Considering Nebraska's commitment to taking away the 3pt shot and not fouling, it's a matter of mitigating the damage that Fernando will inflict on the scoreboard. The junior PG is leading the team in scoring but has been held to 7 points both times he's had to face Glynn Watson. Cowan is having an off year from 3 this year but is a threat to shoot from all over the court. The Skinny: Welcome to 2019 where the gimmie games end and the Big 10 gauntlet run begins. Nebraska just by winning the almost all of their home game and grabbing a few on the road should be a NCAA tournament team. Why not a high seed though and Maryland presents a pretty good opportunity to build on the resume. 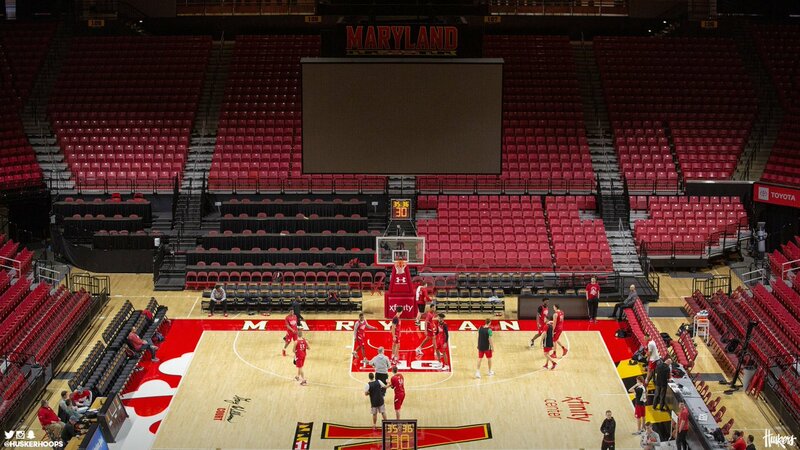 This will be a battle of styles where Maryland's home court advantage will be lessened by lack of a student section and relative inexperience. Maryland is a post heavy team who makes their hay in the paint and will look to attack Nebraska's bigs all night. Look for the Terrapins to crash the boards on all outside shots as what they lack in team shooting them make up for in rebounding ability. Nebraska will need to feast on Maryland's turnovers for easy points and then keep Fernando on the move as a defender as this is the type of game where a faster pace favors the Huskers. With the exception of the 11 point loss in the B1G tourney a few years back, Nebraska has played Maryland within 5 points in 2 wins and 3 losses. The most notable difference is that for the first time the Huskers have what would be considered the better team. When the cards are the table they also have the better point guard. This is a game where a Nebraska win at Maryland wouldn't be considered stealing a game and a loss would be considered an opportunity lost.